Denny Jump (Bellevue, WA, United States) on 17 August 2014 in Sport & Recreation. 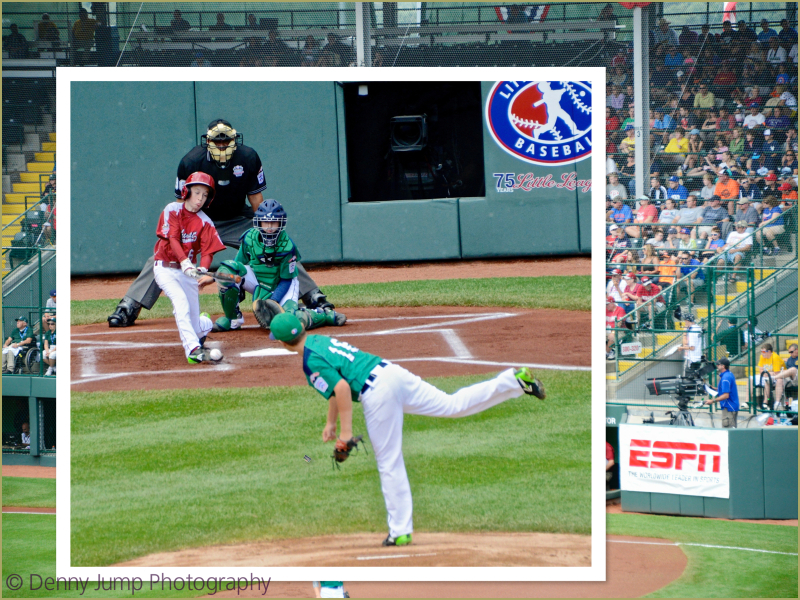 This is the Little League world series that will continue through the next week, (much like a world cup), as teams play each other. Barbara and i made the 2 hour drive to Williamsport, PA to take in some of the activity. Great shot, love the expression on that kid's face! Sweet, I covered this last year when the Series was in Mi. fine action shot! excellent shutter speed! Did you see the young lady throw the shutout? When I first saw the news item, I didn't realize she was playing with the boys and taking them to school.